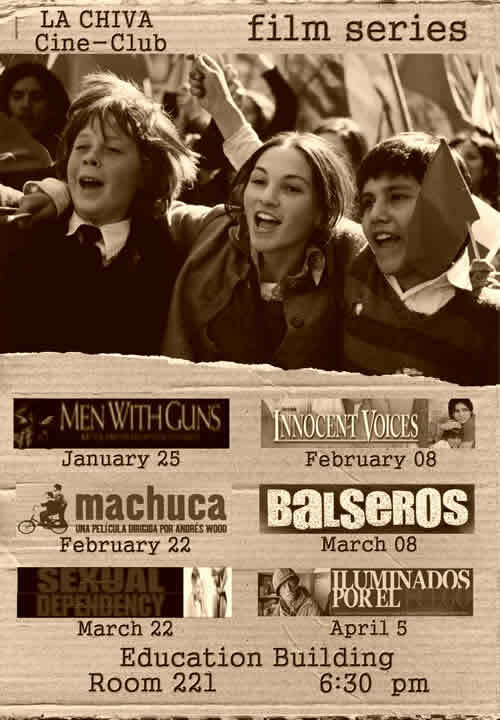 Based on the true story of screenwriter Oscar Torres's embattled childhood, INNOCENT VOICES is the poignant tale of Chava, an eleven-year-old boy who suddenly becomes the "man of the house" after his father abandons the family in the middle of the civil war opposing the Salvadorian army to the rebel peasants of the FMLN. UP members have been murdered or have disappeared, making it a case of political genocide unparalleled in the world. The documentary "The Red Dance" views, through the memories of survivors and relatives of victims, this period of terror and assassination. While FARC has reverted to war, a petition is pending before the Inter-American Commission on Human Rights regarding human rights violations by the Colombian State. This film gives significant insight into the reasons for FARC's return to armed struggle and the extent to which political exclusion is a major cause of the 60 years of violence that continues in Colombia today.